The National Evacuation Conference will be held in New Orleans January 7-10, 2014, at the Ernest N. Morial Conventional Center! NEC will be held in conjunction with the 2014 International Disaster Conference and Expo. Please email your abstract to SDMI@lsu.edu. The Conference will bring together professionals, academics, nonprofit, and for-profit organizations, consultants, emergency managers, and transportation planners to discuss evacuation planning for cities and regions across the United States. Thepurpose of the conference is to foster an interdisciplinary exchange of ideas surrounding a broad range of evacuation issues, particularly mass evacuations caused by disasters. The conference will assemble together professional, academics, nonprofit and for-profit organizations, consultants, emergency managers, government officials and transportation planners to discuss evacuation planning for cities and regions across the United States. 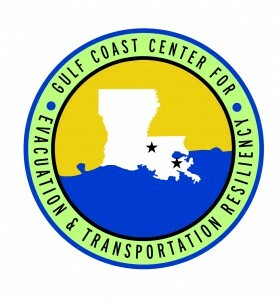 Conference is organized by the Stephenson Disaster Management Institute and the Gulf Coast Research Center for Evacuation and Transportation Resiliency both at Louisiana State University and the University of New Orleans. Brian Wolshon, Ph.D., P.E., P.T.O.E.